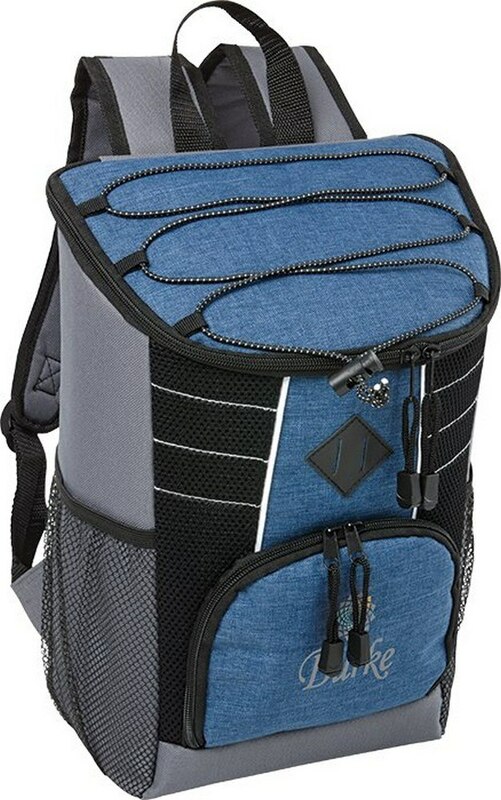 The Ridgeway 22 Can Backpack Cooler features durable polycanvas construction and allows inserting brand logo and message for amazing Business Swag. Whether your customers are heading to a picnic or for a sports event, help them be prepared for whatever comes up. 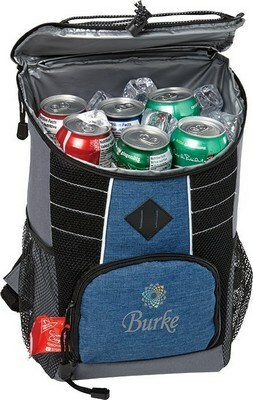 Our all new Ridgeway 22 Can Backpack Cooler offers ample space for drinks, snacks, towel and anything else they need to carry along. This customized backpack is made using low lead, Phthalate free polycanvas and 600D polyester material for durability and long life. 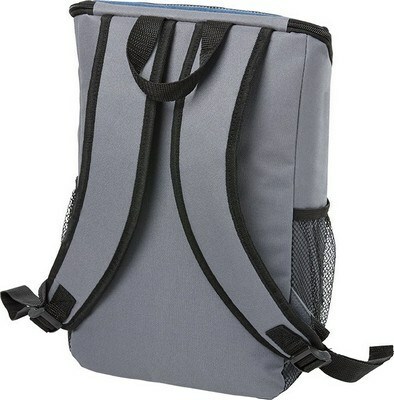 It features PEVA heat sealed liner, front zippered pocket, top bungee cord and two mesh pockets for optimum storage space. A top handle and adjustable shoulder straps facilitate easy and convenient transportation. Customize the product to your brand with your corporate logo and advertising message.